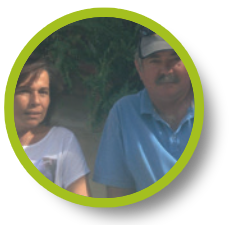 Jorge & Idalina moved to Carnarvon from Maderia, Portugal in the mid 1980’s. 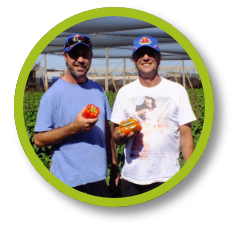 Since arriving both have had a long association with the Carnarvon horticultural industry, from growing seedlings to operating a pack-house and eventually returning to growing tomatoes and capsicum on their own farm. Both are keen on growing hydroponically and have done for so many years. They are passionate about the industry and the success of growers within the region. Dan & Rob are brothers and third generation horticulturists. Their parents purchased a farm in Carnarvon in the mid 1960’s and their grandfather was a farmer in Croatia, growing lavender, olives and vegetable lines. The brothers grew up on the farm and pursued other avenues after leaving school. Dan took an interest in telecommunications and football, whilst Rob studied Economics & Horticulture at University and worked hospitality. As farmers they have specialised in growing capsicum and eggplant under cover and are continually investigating methods of improving the quality of the product they grow. As a result they have become passionate & successful horticulturists in their own right. Duc was born in Vietnam and migrated to Carnarvon with his Father. After completing his education in Carnarvon, he has continued to live here and work in the Horticultural Industry. Doc is passionate about the industry and is particularly interested in improving farm systems to produce a better quality product. 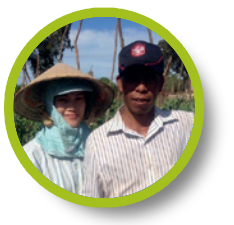 He is involved within the Vietnamese community and provides support and guidance for his fellow countryman. 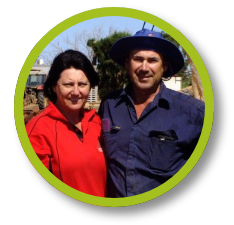 Phillip and Liana have been living and working on their property in Carnarvon since the mid 1980’s along with growing they have raised 2 beautiful children. Phil is a third generation horticulturist, growing up on the family property in Perth, before commencing in Carnarvon; he always knew that he wanted to continue the family business as he loved the land. Both Phil & Liana are passionate about the industry, the town and growing great produce. Carnarvon is a fertile growing area with a climate that’s ideal for growing a diverse range of produce. Phil is always on the lookout for new product lines that will keep customers happy. Over the years they have grown various crops and currently specialise in purple & stripey eggplant, zucchini's, seedless watermelons & rockmelons.